There are over 50 million arthritis sufferers in the United States alone. Many people try to cope with the joint pain with medications or do nothing but deal with the emotionally draining, uncomfortable effects this common condition can cause. The Flo’s flotation tanks can offer an alternative and a possible viable treatment for Arthritis Pain and Suffering. Arthritis cannot be boiled down to one single disease or cause. Over 100 different types of arthritis can be diagnosed and can be commonly be understood as joint pain caused by inflammation or the wearing down of cartilage as our bones rub against other bones in our joints. 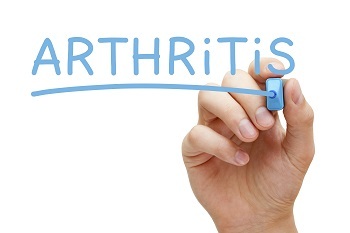 Some common forms of arthritis are called osteoarthritis, rheumatoid arthritis and psoriatic arthritis. No matter what the type of arthritis, this condition is always characterized by swelling, stiffness, and chronic pain. Floating for treatment of arthritis? Typically medication and even surgery is used by traditional medical professionals to treat the symptoms of arthritis as there is no cure. 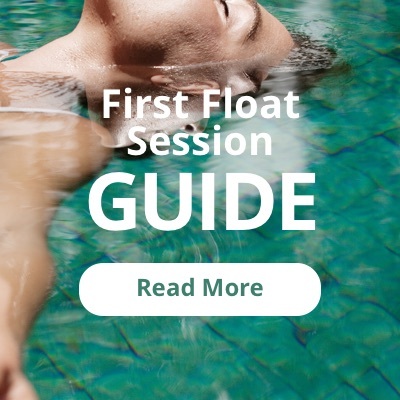 In recent years alternative treatments like flotation therapy have been used to provide relief from pain symptoms and free the suffering patients mind of negative thoughts. Some studies have shown that floating is a viable treatment for both rheumatoid and osteoarthritis. Patients have reported improved quality of life after using float tanks for treatment. Bare in mind floating will not cure you but it can make a huge difference in your quality of life. Flotation tanks provide a unique experience of being completely weightless. Our tanks have over 1300 pounds of Epsom salt and the water is heated to 95 degrees (about the same as the surface of your skin). Inside the tank your body floats effortlessly, your muscles and joints relax and you can feel the release of pressure on painful points in your body. By combining this weightlessness from the Epsom salts and the heat from the tanks heaters this creates the perfect storm to naturally battle pain and discomfort from various forms of arthritis. Epsom salts are known and have been known for thousands of years to relieve joint and muscle pain. Studies have shown that stress can exacerbate the symptoms of rheumatoid arthritis(4), and stress reduction is a common strategy of treating arthritis. In this way, incorporating floating to a treatment plan for arthritis doesn’t just provide physical relief from joint pain: floating reduces stress! Combining the physical and psychological benefits of floating means better quality of life. Multiple studies have shown the correlation between stress and symptoms of arthritis. Usually reducing stress is a portion of treatment recommended for various arthritic conditions. Floating reduces stress, FAST. Our tanks are considered, sensory deprivation tanks and provide an easy escape into a meditative state. Some studies have shown that meditation can help individuals cope with the chronic pain associated with arthritis(5). While meditation doesn’t make pain disappear, it can help provide a better mental framework for dealing with pain and the stress that often comes with it. Effects of flotation REST on range of motion, grip strength, and pain in rheumatoid arthritics. John Turner Jr., Anna DeLeon, Cathy Gibson, Thomas Fine. Clinical and Experimental Restricted Environmental Stimulation, 1993. A pilot study to evaluate the effects of floatation spa treatment on patients with osteoarthritis. S. Hill, M.J.H. Eckett, C. Paterson, E.F. Harkness. Complementary Therapies in Medicine, December 1999. Effect of mindfulness-based stress reduction in rheumatoid arthritis patients. Elizabeth K. Pradhan, Mona Baumgarten, Patricia Langenberg, Barry Handwerger, Adele Kaplan Gilpin, Trish Magyari, Marc C. Hochberg, Brian M. Berman. Arthritis Care & Research, October 2007. The relation between stress and disease activity in rheumatoid arthritis. Bradley T. Thomason, Phillip J. Brantley, Glenn N. Jones, Herbert R. Dyer, Jed L. Morris. Journal of Behavioral Medicine, April 1992. Floatation for the management of rheumatoid arthritis. Clifton Mereday, Craig Lehmann, Roderick A. Borrie. Restricted Environmental Stimulation, 1990.
very well written. As an arthritis sufferer I understand the importance of pain management and floating is now part of that management.